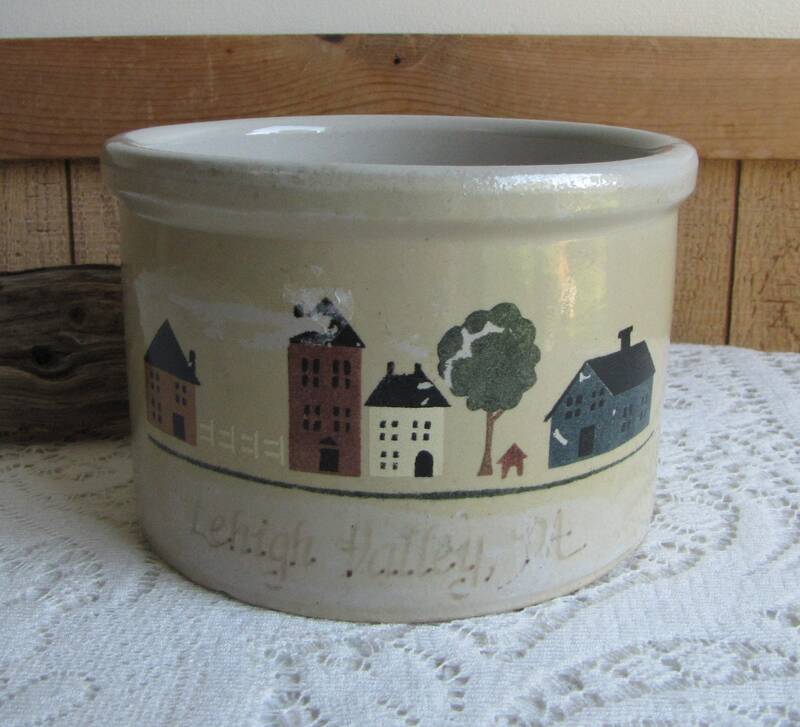 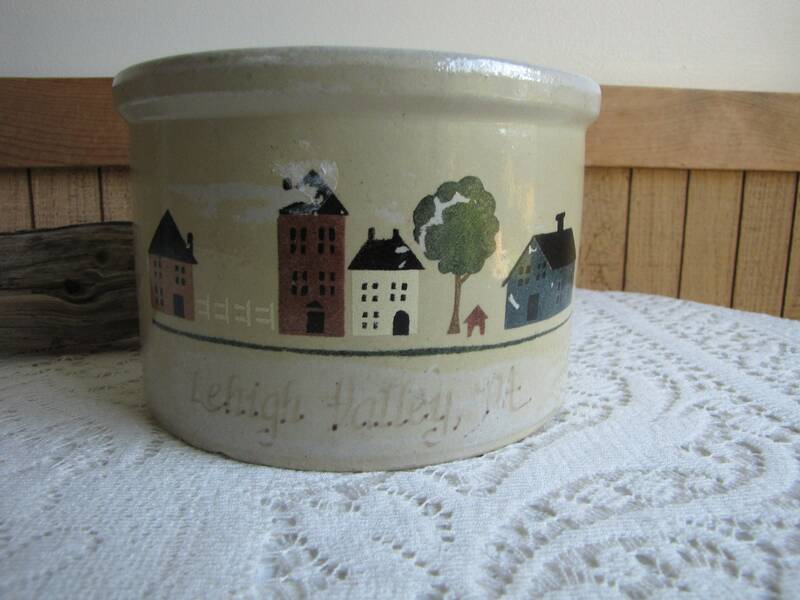 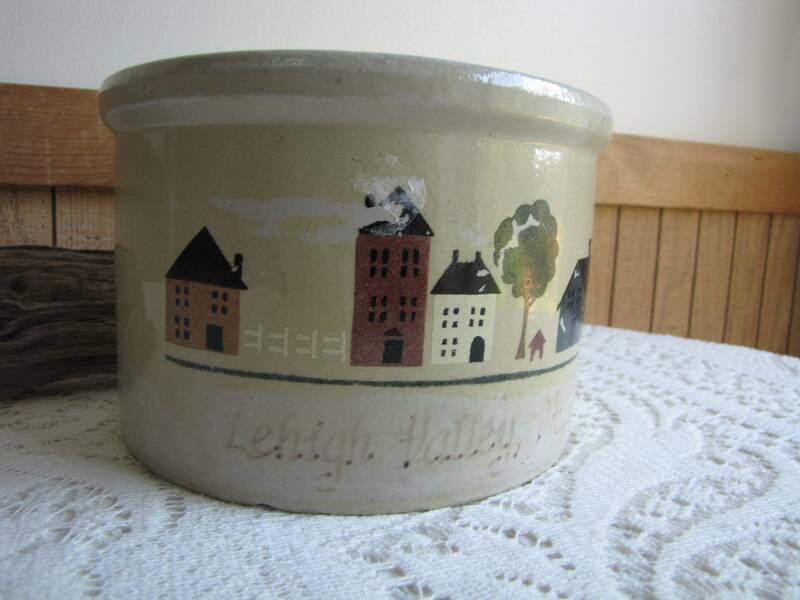 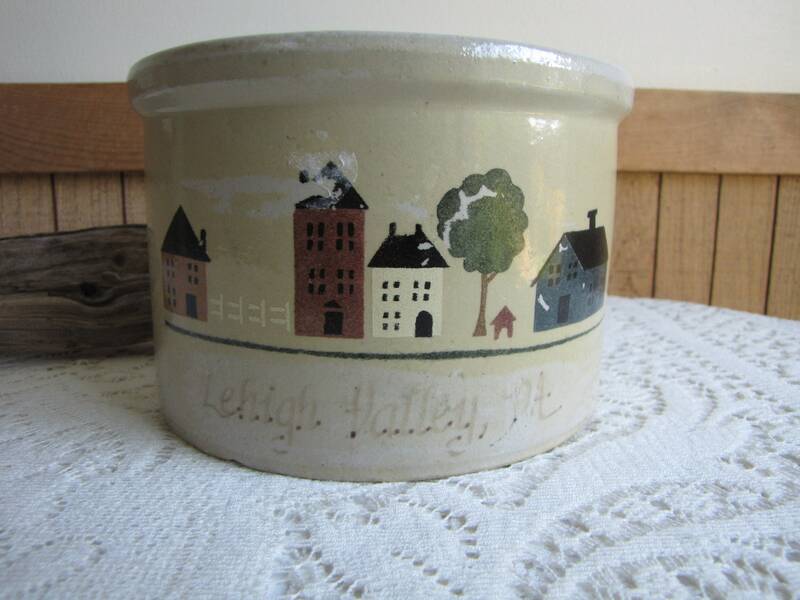 A lovely little crock from Robinson Rainsbottom Pottery Co. (R.R.P.CO) that is stenciled with houses and barns from Lehigh Valley, PA (written on it). 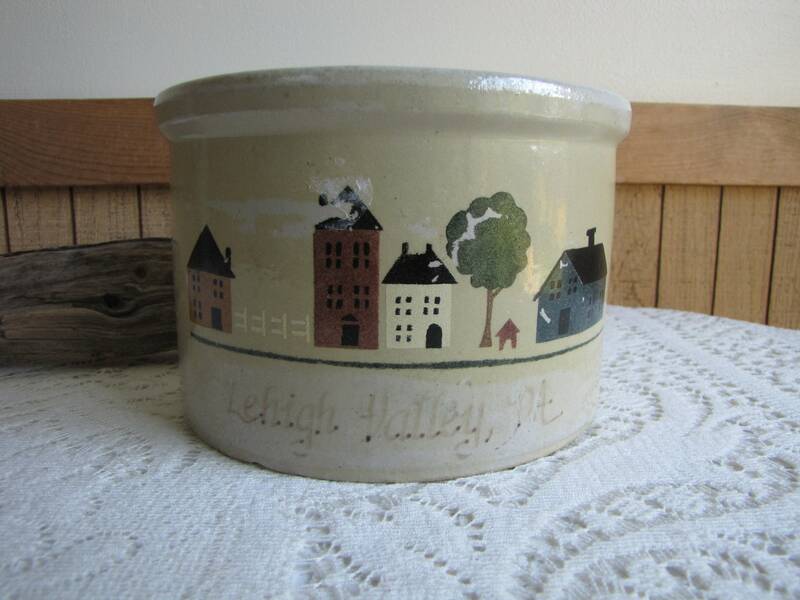 The crock is in very good vintage condition with no chips or cracks. 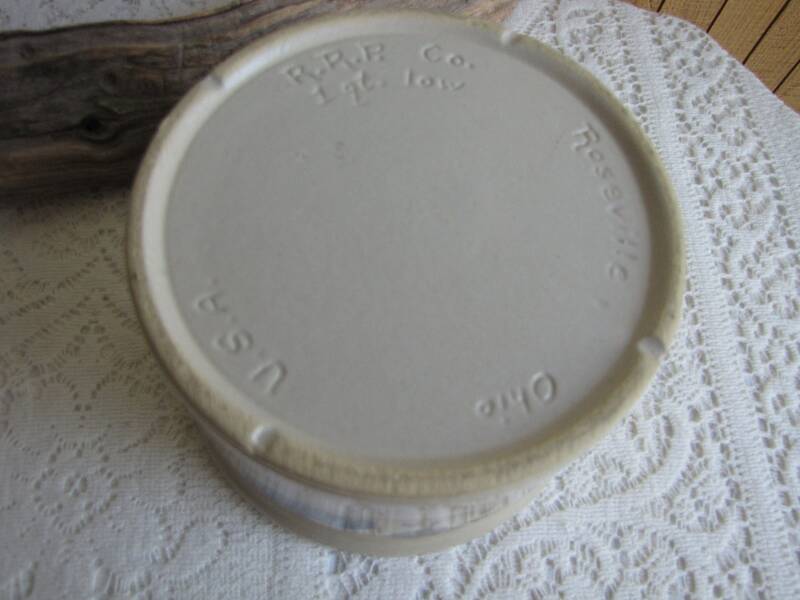 The stencil is scratched off a bit and the price tag glue is taking more of it off, so I have left some price tag residue on it. 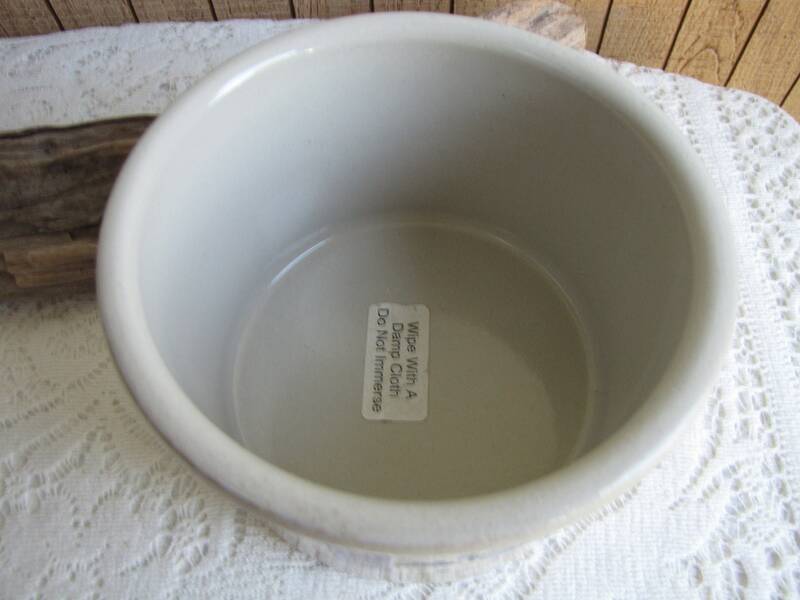 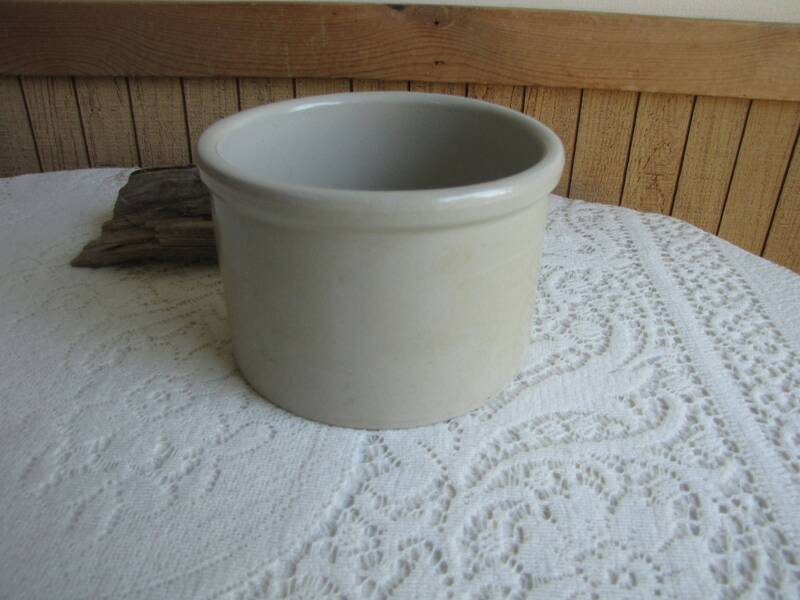 The crock measures 4.5 inches tall and 7 inches in diameter. 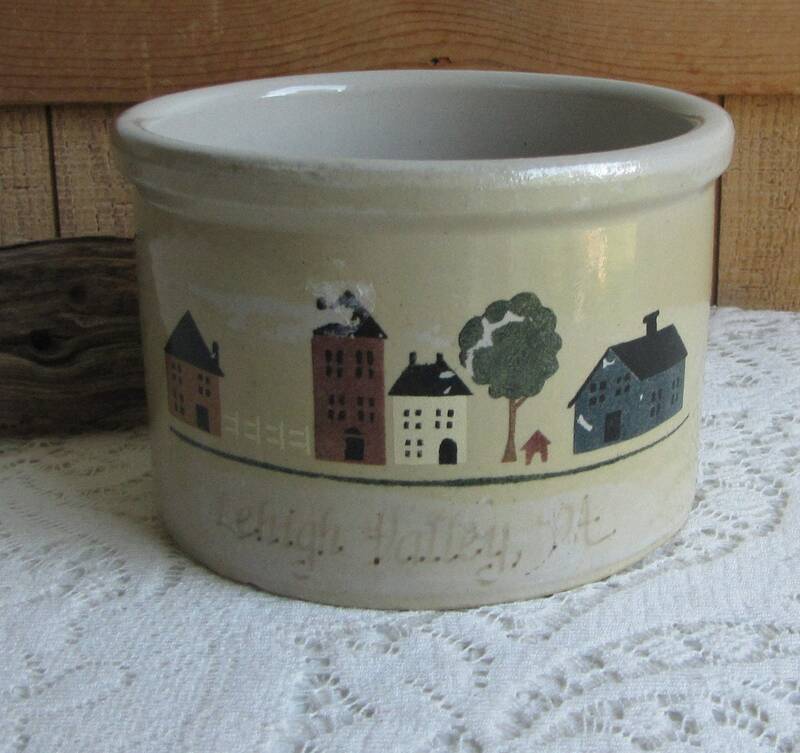 Robbinson Ransbottom Pottery was located in Zanesville Ohio from 1900 to 2005 although they put Roseville Ohio on their finished pieces. 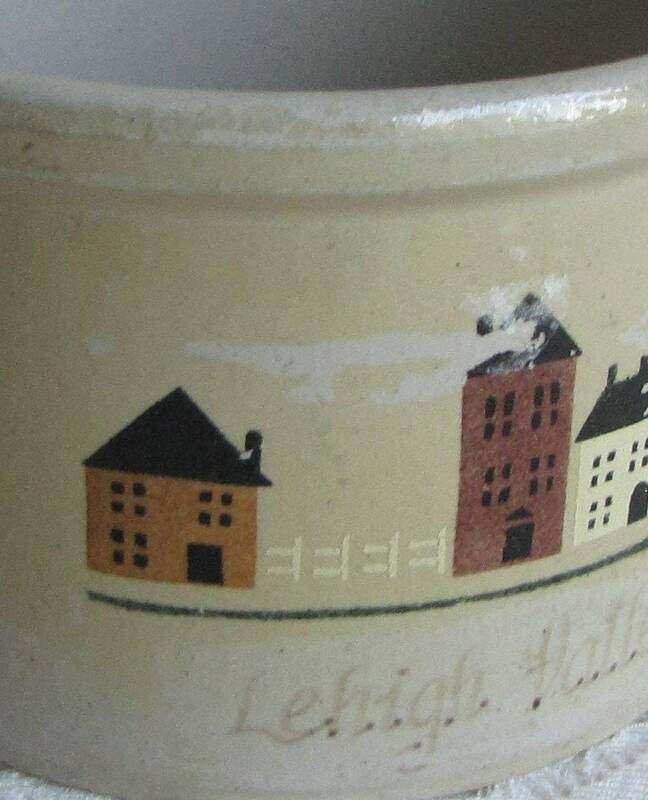 They manufactured crockery as well as art pottery.